Tired of always doing your walks or runs during the day? Grab your glow sticks and your favorite neon headband and join us for a 5k so fun that you’ll wish it was longer! 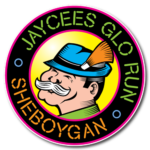 This course is a fun run event illuminated by black lights throughout Evergreen Park. Proceeds benefit local charity organizations. Friday, September 23, 2016 Evergreen Park The Tee Box — This organization takes in a maximum of 5 men who have recently been released from prison or jail and gives them a place to live for 3 months. The goal to break the recidivism cycle and help these men in their journey to recovery and becoming contributing members of our community. September 12, 2014 Evergreen Park Labor of Love — The mission of Labor of Love Counseling Center is to provide low cost mental health counseling and educational programs to clients affected by violent behaviors, abuse, and mental health issues. They offer programs and seminars to community members to increase awareness of mental health issues and violent behaviors and also make our community a safer place to live, work, and play. September 6, 2013 Evergreen Park Camp Evergreen — Camp Evergreen enriches the lives of children and adults with cognitive and other disabilities, as well as the lives of their families and care-providers, by offering accessible, compassion-driven, respite care, day services, and summer camp programming.